Home » Bobs Blog » Will We See An Appreciation in the Phoenix Market in 2017? Will We See An Appreciation in the Phoenix Market in 2017? I have been reviewing sales numbers by month since January 2014 and a pattern emerged. From February through June, the number of homes listed for sale increased by approximately 20% over the rest of the year; sales started picking up in April or May by about the same percentage. February 2014 saw Sales at 4,797 and new Listings at 10,888; February 2015 Sales 4,784 Listings 10230; February 2016 Sales 5,718 and Listings 10,331; February 2017 Sales 6,435 (26% increase over the average of the past three Februarys) and Listings 9,711 (6.4% decrease over the average of the past three Februarys). With Supply dropping and Demand increasing we may see some serious appreciation in the Phoenix market in 2017. In the Metropolitan Phoenix Area sales increased 8.5% from January, and increased 12.5% compared with February 2016. New Inventory is down 3.2% from January, and down 6.0% from 12 months ago. Total inventory of homes increased 1.7% from the month prior while year-over-year reflects a decrease of 9.6%. Supply of inventory moved down from 4.10 to 3.85 months. The year over year median list price was up 4.9%. 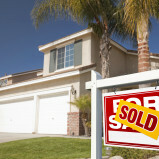 The average sales price increased 5.0% and the median sales price also rose by 7.5%. Pending foreclosures showed a decrease of .6% from January and were down 23.3% from one year ago. Days on Market increased 2 days compared with January. We currently have only one home for rent. It is a lovely one story 2,310 square foot home located in a beautiful park like neighborhood being offered at $1,650 monthly. We continue to need more homes to rent.